Four Cats getting ready for Halloween with three pumpkins. 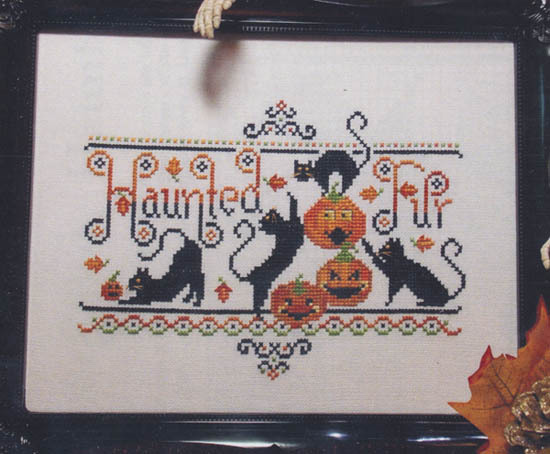 "Haunted Fur". Count: 110w x 78h. Model sttiched on 28ct whtie Zweigart Jubilee.